As is a pretty common criticism of just about every $200 million superhero movie these days, Black Panther sure does overdo it a bit with the CGI nonsense in its third act. Though plenty of the action remains thoroughly entertaining no matter what, the quality of the visual effects clearly begins to suffer with some of the more challenging images Ryan Coogler is attempting to realise on-screen later on. 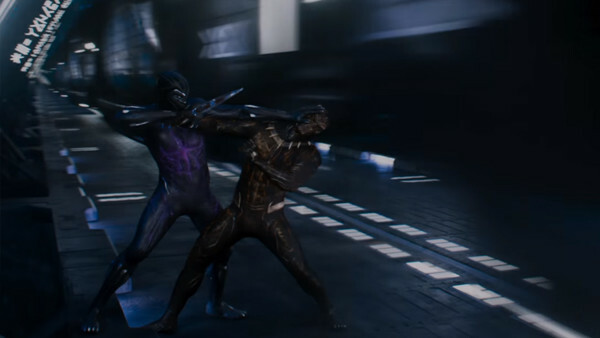 The magnetic bullet-train battle between T'Challa and Erik Killmonger is especially troubled by unconvincing effects work: it's abundantly clear we're watching two animated renders fighting one another for much of the battle, which just feels totally unnecessary. The other egregious CGI sequence is a spoiler so won't be mentioned in specifics, but ultimately it doesn't add a whole lot to the film, so again feels like a moment of superhero excess that the movie's first 90 minutes mostly skirt clear of.